The Panzer IV was the most numerous German tank and the second-most numerous German armored fighting vehicle of the Second World War, with some 8,500 built. The Panzer IV chassis was used as the base for many other fighting vehicles, including the Sturmgeschütz IV assault gun, Jagdpanzer IV tank destroyer, the Wirbelwind self-propelled anti-aircraft gun, and the Brummbär self-propelled gun. The Panzer IV was the brainchild of the German general and innovative armored warfare theorist Heinz Guderian. In concept, it was intended to be a support tank for use against enemy anti-tank guns and fortifications. Ideally, each tank battalion in a panzer division was to have three medium companies of Panzer IIIs and one heavy company of Panzer IVs. On 11 January 1934, the German army wrote the specifications for a "medium tractor", and issued them to a number of defense companies. 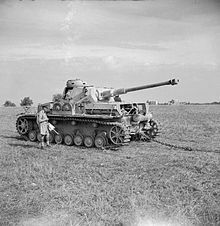 To support the Panzer III, which would be armed with a 37-millimetre (1.46 in) anti-tank gun, the new vehicle would have a short-barreled, howitzer-like 75-millimetre (2.95 in) as its main gun, and was allotted a weight limit of 24 tonnes (26.46 short tons). Development was carried out under the name Begleitwagen ("accompanying vehicle"), or BW, to disguise its actual purpose, given that Germany was still theoretically bound by the Treaty of Versailles ban on tanks. MAN, Krupp, and Rheinmetall-Borsig each developed prototypes, with Krupp's being selected for further development. The chassis had originally been designed with a six-wheeled Schachtellaufwerk interleaved-roadwheel suspension (as German half-tracks had already adopted), but the German Army amended this to a torsion bar system. Permitting greater vertical deflection of the roadwheels, this was intended to improve performance and crew comfort both on- and off-road. However, due to the urgent requirement for the new tank, neither proposal was adopted, and Krupp instead equipped it with a simple leaf spring double-bogie suspension, with eight rubber-rimmed roadwheels per side. The prototype required a crew of five men; the hull contained the engine bay to the rear, with the driver and radio operator, who doubled as the hull machine gunner, seated at the front-left and front-right, respectively. In the turret, the tank commander sat beneath his roof hatch, while the gunner was situated to the left of the gun breech and the loader to the right. The turret was offset 66.5 mm (2.62 in) to the left of the chassis center line, while the engine was moved 152.4 mm (6.00 in) to the right. 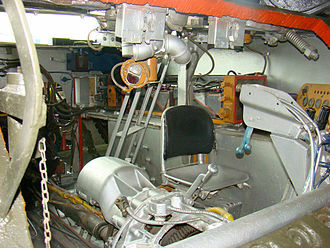 This allowed the torque shaft to clear the rotary base junction, which provided electrical power to turn the turret, while connecting to the transmission box mounted in the hull between the driver and radio operator. 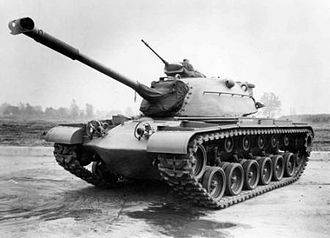 Due to the asymmetric layout, the right side of the tank contained the bulk of its stowage volume, which was taken up by ready-use ammunition lockers. The first mass-produced version of the Panzer IV was the Ausführung A (abbreviated to Ausf. A, meaning "Variant A"), in 1936. It was powered by a Maybach HL108 TR, producing 250 PS (183.87 kW), and used the SGR 75 transmission with five forward gears and one reverse, achieving a maximum road speed of 31 kilometres per hour (19.26 mph). As main armament, the vehicle mounted the short-barreled, howitzer-like 75 mm (2.95 in) Kampfwagenkanone 37 L/24 (7.5 cm KwK 37 L/24) tank gun, which was a low-velocity weapon mainly designed to fire high-explosive shells. Against armored targets, firing the Panzergranate (armor-piercing shell) at 430 metres per second (1,410 ft/s) the KwK 37 could penetrate 43 millimetres (1.69 in), inclined at 30 degrees, at ranges of up to 700 metres (2,300 ft). A 7.92 mm (0.31 in) MG 34 machine gun was mounted coaxially with the main weapon in the turret, while a second machine gun of the same type was mounted in the front plate of the hull. The main weapon and coaxial machine gun were sighted with a Turmzielfernrohr 5b optic while the hull machine gun was sighted with a Kugelzielfernrohr 2 optic. The Ausf. A was protected by 14.5 mm (0.57 in) of steel armor on the front plate of the chassis, and 20 mm (0.79 in) on the turret. This was only capable of stopping artillery fragments, small-arms fire, and light anti-tank projectiles. After manufacturing 35 tanks of the A version, in 1937 production moved to the Ausf. B. Improvements included the replacement of the original engine with the more powerful 300 PS (220.65 kW) Maybach HL 120TR, and the transmission with the new SSG 75 transmission, with six forward gears and one reverse gear. Despite a weight increase to 16 t (18 short tons), this improved the tank's speed to 42 kilometres per hour (26.10 mph). The glacis plate was augmented to a maximum thickness of 30 millimetres (1.18 in), while a new driver's visor was installed on the straightened hull front plate, and the hull-mounted machine gun was replaced by a covered pistol port and visor flap. The superstructure width and ammunition stowage were reduced to save weight. A new commander's cupola was introduced which was adopted from the Panzer III Ausf. C. A Nebelkerzenabwurfvorrichtung (smoke grenade discharger rack) was mounted on the rear of the hull starting in July 1938 and was back fitted to earlier Ausf. A and Ausf. B chassis starting in August 1938. Forty-two Panzer IV Ausf. Bs were manufactured before the introduction of the Ausf. C in 1938. This saw the turret armor increased to 30 mm (1.18 in), which brought the tank's weight to 18.14 t (20.00 short tons). After assembling 40 Ausf. Cs, starting with chassis number 80341, the engine was replaced with the improved HL 120TRM. The last of the 140 Ausf. Cs was produced in August 1939, and production changed to the Ausf. D; this variant, of which 248 vehicles were produced, reintroduced the hull machine gun and changed the turret's internal gun mantlet to a 35 mm (1.38 in) thick external mantlet. Again, protection was upgraded, this time by increasing side armor to 20 mm (0.79 in). As the German invasion of Poland in September 1939 came to an end, it was decided to scale up production of the Panzer IV, which was adopted for general use on 27 September 1939 as the Sonderkraftfahrzeug 161 (Sd.Kfz. 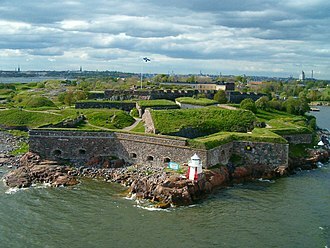 161). In response to the difficulty of penetrating the armor of British infantry tanks (Matilda and Matilda II) during the Battle of France, the Germans had tested a 50 mm (1.97 in) gun—based on the 5 cm Pak 38 anti-tank gun—on a Panzer IV Ausf. D. However, with the rapid German victory in France, the original order of 80 tanks was canceled before they entered production. In October 1940, the Ausf. E was introduced. This had 30 millimetres (1.18 in) of armor on the bow plate, while a 30-millimetre (1.18 in) appliqué steel plate was added to the glacis as an interim measure. A new driver's visor, adopted from the Sturmgeschütz III was installed on the hull front plate. A new commander's cupola, adopted from the Panzer III Ausf. G, was relocated forward on the turret eliminating the bulge underneath the cupola. Older model Panzer IV tanks were retrofitted with these features when returned to the manufacturer for servicing. 206 Ausf. Es were produced between October 1940 and April 1941. The short-barreled Panzer IV Ausf. F1. In April 1941, production of the Panzer IV Ausf. F started. It featured 50 mm (1.97 in) single-plate armor on the turret and hull, as opposed to the appliqué armor added to the Ausf. E, and a further increase in side armor to 30 mm (1.18 in). The main engine exhaust muffler was shortened and a compact auxiliary generator muffler was mounted to its left. The weight of the vehicle was now 22.3 tonnes (24.6 short tons), which required a corresponding modification of track width from 380 to 400 mm (14.96 to 15.75 in) to reduce ground pressure. The wider tracks also facilitated the fitting of track shoe "ice sprags", and the rear idler wheel and front sprocket were modified. The designation Ausf. F was changed in the meantime to Ausf. F1, after the distinct new model, the Ausf. F2, appeared. A total of 471 Ausf. F (later temporarily called F1) tanks were produced from April 1941 to March 1942. On 26 May 1941, mere weeks before Operation Barbarossa, during a conference with Hitler, it was decided to improve the Panzer IV's main armament. Krupp was awarded the contract to integrate again the 50 mm (1.97 in) Pak 38 L/60 gun into the turret. The first prototype was to be delivered by 15 November 1941. Within months, the shock of encountering the Soviet T-34 medium and KV-1 heavy tanks necessitated a new, much more powerful tank gun. In November 1941, the decision to up-gun the Panzer IV to the 50-millimetre (1.97 in) gun was dropped, and instead Krupp was contracted in a joint development to modify Rheinmetall's pending 75 mm (2.95 in) anti-tank gun design, later known as 7.5 cm Pak 40 L/46. Because the recoil length was too great for the tank's turret, the recoil mechanism and chamber were shortened. This resulted in the 75-millimetre (2.95 in) KwK 40 L/43. When the new KwK 40 was loaded with the Pzgr. 39 armor-piercing shell, the new gun fired the AP shell at some 750 m/s (2,460 ft/s), a substantial 74% increase over the howitzer-like KwK 37 L/24 gun's 430 m/s (1,410 ft/s) muzzle velocity. Initially, the KwK 40 gun was mounted with a single-chamber, ball-shaped muzzle brake, which provided just under 50% of the recoil system's braking ability. Firing the Panzergranate 39, the KwK 40 L/43 could penetrate 77 mm (3.03 in) of steel armor at a range of 1,830 m (6,000 ft). The 1942 Panzer IV Ausf. F2 was an upgrade of the Ausf. F, fitted with the KwK 40 L/43 anti-tank gun to counter Soviet T-34 medium and KV heavy tanks. The Ausf. F tanks that received the new, longer, KwK 40 L/43 gun were temporarily named Ausf. F2 (with the designation Sd.Kfz. 161/1). The tank increased in weight to 23.6 tonnes (26.0 short tons). Differences between the Ausf. F1 and the Ausf. F2 were mainly associated with the change in armament, including an altered gun mantlet, internal travel lock for the main weapon, new gun cradle, new Turmzielfernrohr 5f optic for the L/43 weapon, modified ammunition stowage, and discontinuing of the Nebelkerzenabwurfvorrichtung in favor of turret mounted Nebelwurfgeraet. Three months after beginning production, the Panzer IV Ausf. F2 was renamed Ausf. G.
During its production run from March 1942 to June 1943, the Panzer IV Ausf. G went through further modifications, including another armor upgrade which consisted of a 30-millimetre (1.18 in) face-hardened appliqué steel plate welded (later bolted) to the glacis—in total, frontal armor was now 80 mm (3.15 in) thick. This decision to increase frontal armor was favorably received according to troop reports on 8 November 1942, despite technical problems of the driving system due to added weight. At this point, it was decided that 50% of Panzer IV production would be fitted with 30 mm (1.18 in) thick additional armor plates. On 5 January 1943, Hitler decided that all Panzer IV should have 80 mm (3.15 in) frontal armor. To simplify production, the vision ports on either side of the turret and the loader's forward vision port in the turret front were removed, while a rack for two spare road wheels was installed on the track guard on the left side of the hull. Complementing this, brackets for seven spare track links were added to the glacis plate. For operation in high temperatures, the engine's ventilation was improved by creating slits over the engine deck to the rear of the chassis, and cold weather performance was boosted by adding a device to heat the engine's coolant, as well as a starter fluid injector. A new light replaced the original headlight and the signal port on the turret was removed. On 19 March 1943, the first Panzer IV with Schürzen skirts on its sides and turret was exhibited. The double hatch for the commander's cupola was replaced by a single round hatch from very late model Ausf. G. and the cupola was up-armored from 50 mm (1.97 in) to 95 mm (3.74 in). In April 1943, the KwK 40 L/43 was replaced by the longer 75-millimetre (2.95 in) KwK 40 L/48 gun, with a redesigned multi-baffle muzzle brake with improved recoil efficiency. The longer L/48 resulted in the introduction of the Turmzielfernrohr 5f/1 optic. A Panzer IV Ausf H at the Musée des Blindés in Saumur, France, with its distinctive Zimmerit anti-magnetic mine coating, turret skirts, and wire-mesh side-skirts. The next version, the Ausf. H, began production in June 1943 and received the designation Sd. Kfz. 161/2. The integrity of the glacis armor was improved by manufacturing it as a single 80-millimetre (3.15 in) plate. A reinforced final drive with higher gear ratios was introduced. To prevent adhesion of magnetic anti-tank mines, which the Germans feared would be used in large numbers by the Allies, Zimmerit paste was added to all the vertical surfaces of the tank's armor. The turret roof was reinforced from 10-millimetre (0.39 in) to 16-millimetre (0.63 in) and 25-millimetre (0.98 in) segments. The vehicle's side and turret were further protected by the addition of 5-millimetre (0.20 in) hull skirts and 8-millimetre (0.31 in) turret skirts. This resulted in the elimination of the vision ports located on the hull side, as the skirts obstructed their view. During the Ausf. H's production run, its rubber-tired return rollers were replaced with cast steel, a lighter cast front sprocket and rear idler wheel gradually replaced the previous components, the hull was fitted with triangular supports for the easily damaged side skirts, the Nebelwurfgeraet was discontinued, and a mount in the turret roof, designed for the Nahverteidigungswaffe, was plugged by a circular armored plate due to initial production shortages of this weapon. These modifications meant that the tank's weight increased to 25 tonnes (27.56 short tons). In spite of a new six-speed SSG 77 transmission adopted from the Panzer III, top speed dropped to as low as 16 km/h (10 mph) on cross country terrain. An experimental version of the Ausf H was fitted with a hydrostatic transmission but was not put into production. The Ausf. J was the final production model, and was greatly simplified compared to earlier variants to speed construction. 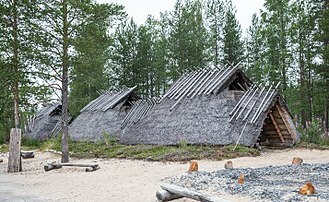 This shows an exported Finnish model. Despite addressing the mobility problems introduced by the previous model, the final production version of the Panzer IV—the Ausf. J—was considered a retrograde from the Ausf. H. Born of necessity, to replace heavy losses, it was greatly simplified to speed production. The electric generator that powered the tank's turret traverse was removed, so the turret had to be rotated manually. The turret traversing mechanism was modified and fitted with a second gear which made hand-operation easier when the vehicle was on sloping terrain. On reasonably level ground, hand operation at 4 seconds to traverse to 12.5° and 29.5 seconds to traverse to 120° was achieved. The resulting space was later used for the installation of an auxiliary 200-litre (53 US gal) fuel tank; road range was thereby increased to 320 km (200 mi), The remaining pistol and vision ports on the turret side hatches were removed, and the engine's radiator housing was simplified by changing the slanted sides to straight sides. 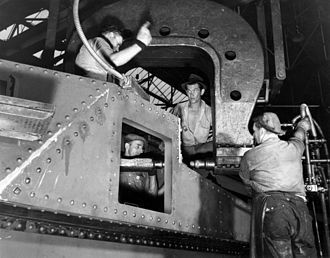 Three sockets with screw threads for mounting a 2-ton jib boom crane were welded on the turret roof while the hull roof was thickened from 11-millimetre (0.43 in) to 16-millimetre (0.63 in). In addition, the cylindrical muffler was replaced by two flame-suppressing mufflers. On June 1944 Wa Prüf 6 had decided that because bomb damage at Panzerfirma Krupp in Essen had seriously jeopardized tank production, all plates which should have been face-hardened for the Panzer IV were instead made with rolled homogeneous armour plate. 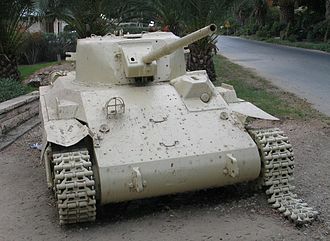 By late 1944, Zimmerit was no longer being applied to German armored vehicles, and the Panzer IV's side-skirts had been replaced by wire mesh, while the gunner's forward vision port in the turret front was eliminated and the number of return rollers was reduced from four to three to further speed-up production. In a bid to augment the Panzer IV's firepower, an attempt was made to mate a Schmalturm turret — carrying the longer 75 mm (2.95 in) L/70 tank gun from the developing Panther Ausf. F tank design, and partly developed by Rheinmetall from early 1944 onwards — to a Panzer IV hull. This failed and confirmed that the chassis had reached the limit of its adaptability in both weight and available volume. The Panzer IV was one of the most widely-exported German tanks of the Second World War. 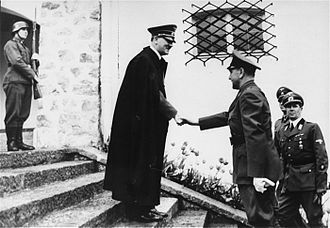 In 1942, Germany delivered 11 tanks to Romania and 32 to Hungary, many of which were lost on the Eastern Front between the final months of 1942 and the beginning of 1943 during the battles around Stalingrad, at which the Hungarian and Romanian troops there were almost annihilated by the attacking Soviet forces.. Romania received approximately 120 Panzer IV tanks of different models throughout the entire war. To arm Bulgaria, Germany supplied 46 or 91 Panzer IVs, and offered Italy 12 tanks to form the nucleus of a new Italian Army armored division. These were used to train Italian tank crews while the-then Italian leader Benito Mussolini was deposed shortly after the Allied conquest of Sicily but were then retaken by Germany during its occupation of Italy in mid-1943. The Falangist Spanish government petitioned for 100 Panzer IVs in March 1943 but only 20 were ever delivered by December that same year. 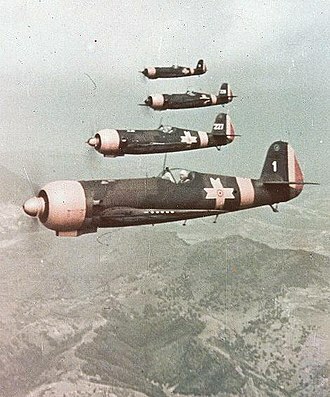 Finland bought 30 but only received 15 in 1944 and in the same year a second batch of 62 or 72 was sent to Hungary (although 20 of these were subsequently diverted to replace German military losses). The Croatian Ustashe Militia received 10 Ausf. F1 and 5 Ausf. G in the autumn of 1944. In total, 297 Panzer IVs of all models were delivered to Germany's allies. A Panzer IV Ausf. E with hits on the turret and the edge of the gun barrel. The Panzer IV was the only German tank to remain in both production and combat throughout World War II, and measured over the entire war it comprised 30% of the Wehrmacht's total tank strength. Although in service by early 1939, in time for the occupation of Czechoslovakia, at the start of the war the majority of German armor was made up of obsolete Panzer Is and Panzer IIs. The Panzer I in particular had already proved inferior to Soviet tanks, such as the T-26, during the Spanish Civil War. 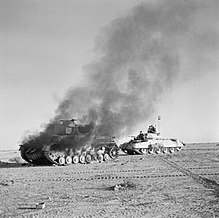 A British Crusader tank passing a burning German Panzer IV during Operation Crusader, late 1941. Despite increased production of the medium Panzer IIIs and IVs prior to the German invasion of France on 10 May 1940, the majority of German tanks were still light types. According to Heinz Guderian, the Wehrmacht invaded France with 523 Panzer Is, 955 Panzer IIs, 349 Panzer IIIs, 278 Panzer IVs, 106 Panzer 35(t)s and 228 Panzer 38(t)s. Through the use of tactical radios and superior tactics, the Germans were able to outmaneuver and defeat French and British armor. However, Panzer IVs armed with the KwK 37 L/24 75-millimetre (2.95 in) tank gun found it difficult to engage French tanks such as the Somua S35 and Char B1. 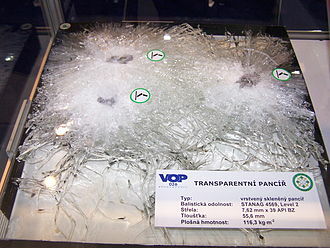 The Somua S35 had a maximum armor thickness of 55 mm (2.17 in), while the KwK 37 L/24 could only penetrate 43 mm (1.69 in) at a range of 700 m (2,296.59 ft). The British Matilda II was also heavily armored, with at least 70 mm (2.76 in) of steel on the front and turret and a minimum of 65 mm on the sides, but were few in number. Although the Panzer IV was deployed to North Africa with the German Afrika Korps, until the longer gun variant began production, the tank was outperformed by the Panzer III with respect to armor penetration. Both the Panzer III and IV had difficulty in penetrating the British Matilda II's thick armor, while the Matilda's 40-mm QF 2 pounder gun could knock out either German tank; the Matilda II's major disadvantage was its low speed. By August 1942, Rommel had only received 27 Panzer IV Ausf. 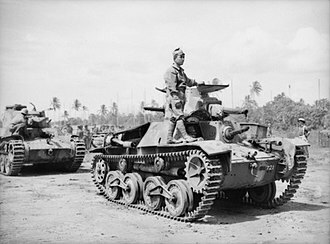 F2s, armed with the L/43 gun, which he deployed to spearhead his armored offensives. The longer gun could penetrate all American and British tanks in theater at ranges of up to 1,500 m (4,900 ft), by that time the most heavily armored of which was the M3 Grant. 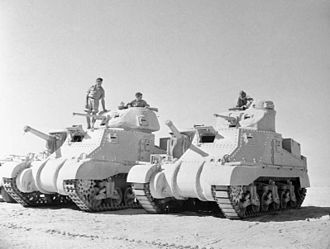 Although more of these tanks arrived in North Africa between August and October 1942, their numbers were insignificant compared to the amount of matériel shipped to British forces. A PzKpfw IV Ausf. H of the 12th Panzer Division carrying Schürzen skirting operating on the Eastern Front in the USSR, 1944. With the launching of Operation Barbarossa on 22 June 1941, the unanticipated appearance of the KV-1 and T-34 tanks prompted an upgrade of the Panzer IV's 75 mm (2.95 in) gun to a longer, high-velocity 75 mm gun suitable for anti-tank use. This meant that it could now penetrate the T-34 at ranges of up to 1,200 m (3,900 ft) at any angle. The 75 mm KwK 40 L/43 gun on the Panzer IV could penetrate a T-34 at a variety of impact angles beyond 1,000 m (3,300 ft) range and up to 1,600 m (5,200 ft). Shipment of the first model to mount the new gun, the Ausf. F2, began in spring 1942, and by the summer offensive there were around 135 Panzer IVs with the L/43 tank gun available. At the time, these were the only German tanks that could defeat T-34 or KV-1 with sheer firepower. They played a crucial role in the events that unfolded between June 1942 and March 1943, and the Panzer IV became the mainstay of the German panzer divisions. Although in service by late September 1942, the Tiger I was not yet numerous enough to make an impact and suffered from serious teething problems, while the Panther was not delivered to German units in the Soviet Union until May 1943. The extent of German reliance on the Panzer IV during this period is reflected by their losses; 502 were destroyed on the Eastern Front in 1942. A Panzer IV Ausf. 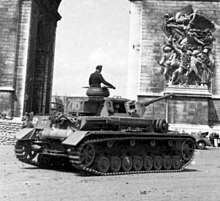 G of the 1st SS Panzer Division "Leibstandarte Adolf Hitler" near the Arc de Triomphe in Paris, 1942. Panzer IVs comprised around half of the available German tank strength on the Western Front prior to the Allied invasion of Normandy on 6 June 1944. Most of the 11 panzer divisions that saw action in Normandy initially contained an armored regiment of one battalion of Panzer IVs and another of Panthers, for a total of around 160 tanks, although Waffen-SS panzer divisions were generally larger and better equipped than their Heer counterparts. Regular upgrades to the Panzer IV had helped to maintain its reputation as a formidable opponent. 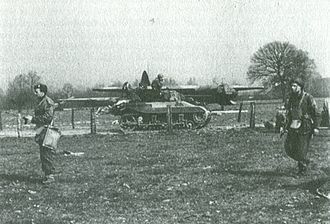 The bocage countryside in Normandy favored defense, and German tanks and anti-tank guns inflicted very heavy casualties on Allied armor during the Normandy campaign, despite the overwhelming Allied air superiority. 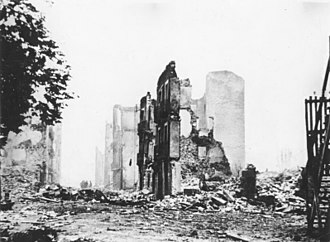 German counter-attacks were blunted in the face of Allied artillery, infantry-held anti-tank weapons, tank destroyers and anti-tank guns, as well as the ubiquitous fighter bomber aircraft. 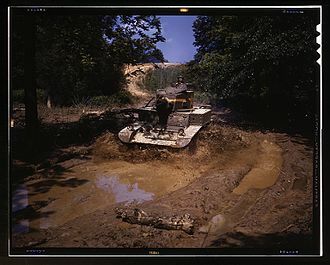 The rugged terrain caused the side-skirt armor used to predetonate shaped charge anti-tank weapons, such as the British PIAT, to be pulled away. German tankers in all theaters were "frustrated by the way these skirts were easily torn off when going through dense brush". Pz.Kpfw-IV in Belgrade Military Museum, Serbia. 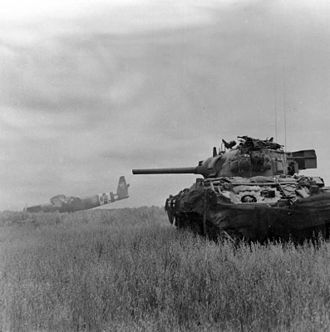 The Allies had also been developing lethality improvement programs of their own; the widely used American-designed M4 Sherman medium tank, while mechanically reliable, suffered from thin armor and an inadequate gun. Against earlier-model Panzer IVs, it could hold its own, but with its 75 mm M3 gun, struggled against the late-model Panzer IV (and was unable to penetrate the frontal armor of Panther and Tiger tanks at virtually any range). The late-model Panzer IV's 80 mm (3.15 in) frontal hull armor could easily withstand hits from the 75 mm (2.95 in) weapon on the Sherman at normal combat ranges, though the turret remained vulnerable. 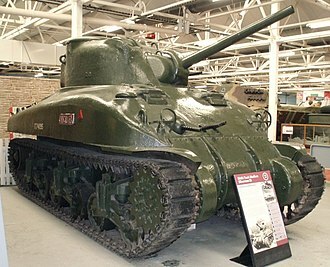 The British up-gunned the Sherman with their highly effective QF 17 pounder anti-tank gun, resulting in the Firefly; although this was the only Allied tank capable of dealing with all current German tanks at normal combat ranges, few (342) were available in time for the Normandy invasion. From D-Day to the end of the Normandy campaign, a further 550 Fireflies were built. A second British tank equipped with the 17pdr gun, the Cruiser Mk VIII Challenger, could not participate in the initial landings having to wait for port facilities to be ready to land. 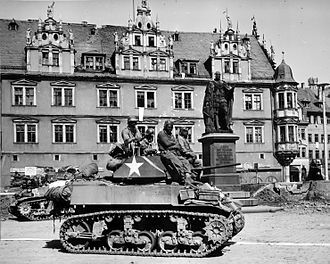 It was not until July 1944 that American Shermans, fitted with the 76-mm (3-inch) M1 tank gun, achieved a parity in firepower with the Panzer IV. During the winter of 1944–45, the Panzer IV was one of the most numerous tanks in the Ardennes offensive, where further heavy losses—as often due to fuel shortages as to enemy action—impaired major German armored operations in the West thereafter. The Panzer IVs that took part were survivors of the battles in France between June and September 1944,[dubious – discuss] with around 260 additional Panzer IV Ausf. Js issued as reinforcements. A captured German Pz.Kpfw. IV Ausf. G used for anti-tank weapons testing by the British Eighth Army in Italy in 1943. Finland bought 15 new Panzer IV Ausf. Js in 1944 for 5,000,000 Finnish markkas each. The remainder of an order for 40 tanks and some StuG IIIs were not delivered and neither were necessary German tank instructors provided. The tanks arrived too late to see action against the Soviet Union but instead ended up being used against Nazi Germany during their withdrawal through Lapland. After the war, they served as training tanks and one portrayed a Soviet KV-1 tank in the movie The Unknown Soldier in 1955. The additional weight, going from the 18.4 tons (Ausf. A) to about 25 tons (Ausf. J), of these modifications strained the relatively light chassis. The overloaded and primitive leaf-spring suspension gave its crew a shaky ride, earning the Panzer IV the nickname "Ravistin" ("Shaker") in Finnish service. This not only affected general crew comfort, but also hampered the accurate aiming of the main gun. What exactly caused this vibration that gave the PzKw IV Ausf. J such a bad name among Finnish tank crews remains somewhat unclear, but the poor suspension seems to be the most likely suspect. After 1945, Bulgaria incorporated its surviving Panzer IVs into defensive bunkers as gunpoints on its border with Turkey, along with Soviet T-34 turrets. This defensive line, known as the "Krali Marko Line", remained in use until the fall of communism in 1989. Twenty Panzer IV Ausf. Hs and ten StuG III Ausf. Gs were supplied to Spain in December 1943, a small fraction of what Spain had originally asked for. The Panzer IV represented the best tank in Spanish service between 1944 and 1954, and was deployed along with T-26s and Panzer Is. Spain sold 17 Panzer IVs to Syria in 1967, with the remaining three left conserved. 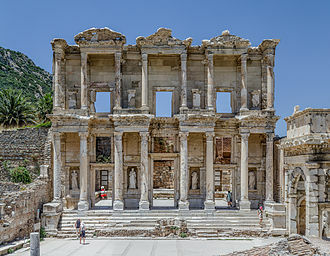 These can be found in Madrid, Burgos and Santovenia de Pisuerga (Valladolid). Most of the tanks Romania had received were lost during combat between 1944 and 1945. 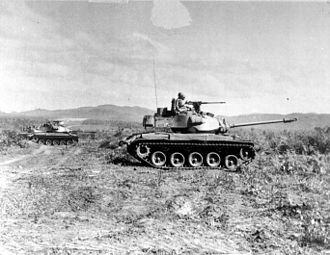 These tanks, designated T4 in the army's inventory, were used by the Army's 2nd Armored Regiment. On 9 May 1945, only two Panzer IVs were left. Romania received another 50 captured Panzer IV tanks from the Red Army after the end of the war. These tanks were of many different models and were in very bad shape—many of them were missing parts and the side-skirts. These German T4 tanks remained in service until 1950, when the Army decided to use only Soviet equipment. By 1954, all German tanks in Romanian military service had been scrapped. An ex-Syrian Panzer IV displayed at the AAF Tank Museum. While their numbers remain uncertain, Syria received around 60 Panzers that were refurbished in France between 1950 to 1952, followed by 50 others purchased from Czechoslovakia in 1954, per the Czechoslovakia-Syria arms deal. A Soviet 12.7mm DShK machine gun on an anti-aircraft mount was retrofitted on the cupola. These ex-German tanks were used to shell Israeli settlements below the Golan Heights, together with Soviet-supplied T-34s, and were fired upon in 1965 during the Water War by Israeli Super Sherman and Centurion tanks. Syria received 17 Panzer IVs from Spain, with these seeing combat during the Six-Day War in 1967. Several of Syria's Panzer IVs were captured by the Israeli Army and donated to the Yad La-Shiryon museum. The AAF Tank Museum in Danville, Virginia later traded a US M5 Stuart light tank to the Latrun museum for one of the Czechoslovak-origin Panzer IVs, which is now an exhibit there. In addition, Turkey was a buyer, with 35 Panzer IVs received until 4 May 1944 in exchange for some chromium ore. Delivery began with the Ausf. G and probably went on with Ausf. H versions. Other sources state only 15 to 22 tanks were delivered in 1943, all of the Ausf G version. The Soviet Army captured significant numbers of German armored vehicles, including Panzer IVs (its Russian designation was "T-4"). Some of them were pressed into temporary service and some others were used for driver or anti-tank training. Sometimes, captured tanks were used in different temporary units or as single tanks. While captured Tiger I/IIs and Panthers were only permitted to be used until they irrecoverably broke down, the simplicity of the Panzer IV and the large number of captured parts allowed for long-term repair and continued use. A Sturmpanzer IV infantry-support gun (Casemate MG variant (flexible mount)). In keeping with the wartime German design expediencies of mounting an existing anti-tank gun on a convenient chassis to give mobility, several tank destroyers and infantry support guns were built around the Panzer IV hull. Both the Jagdpanzer IV, initially armed with the 75-millimetre (2.95 in) L/48 tank gun, and the Krupp-manufactured Sturmgeschütz IV, which was the casemate of the Sturmgeschütz III mounted on the body of the Panzer IV, proved highly effective in defense. Cheaper and faster to construct than tanks, but with the disadvantage of a very limited gun traverse, around 1,980 Jagdpanzer IVs and 1,140 Sturmgeschütz IVs were produced. Another tank destroyer, the Panzer IV/70, used the same basic 75-millimeter L/70 gun that was mounted on the Panther. Also based on the Panzer IV chassis was the Sturmpanzer IV 150-millimetre (5.91 in) infantry-support self-propelled gun. These vehicles were primarily issued to four Sturmpanzer units (Numbers 216, 217, 218 and 219) and used during the battle of Kursk and in Italy in 1943. Two separate versions of the Sturmpanzer IV existed, one without a machine gun in the mantlet and one with a machine gun mounted on the mantlet of the casemate. Furthermore, a 105-millimetre (4.13 in) artillery gun was mounted in an experimental demountable turret on a Panzer IV chassis. This variant was called the Heuschrecke ("Grasshopper"). Another 105 mm artillery/anti-tank prototype was the 10.5 cm K (gp.Sfl.) nicknamed Dicker Max. Four different self-propelled anti-aircraft vehicles were built on the Panzer IV hull. The Flakpanzer IV Möbelwagen was armed with a 37-millimetre (1.46 in) anti-aircraft cannon; 240 were built between 1944 and 1945. In late 1944 a new Flakpanzer, the Wirbelwind ("Whirlwind"), was designed, with enough armor to protect the gun's crew and a rotating turret, armed with the quadruple 20 mm Flakvierling anti-aircraft cannon system; at least 100 were manufactured. Sixty-five similar vehicles were built, named Ostwind ("East wind"), but with a single 37 mm anti-aircraft cannon instead. This vehicle was designed to replace the Wirbelwind. The final model was the Flakpanzer IV Kugelblitz, of which only five pilot vehicles were built. 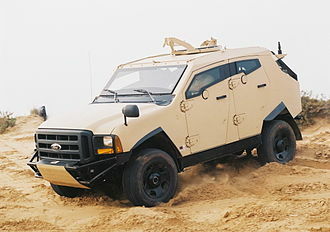 This vehicle featured an enclosed turret armed with twin 30-millimetre (1.18 in) Rheinmetall-Borsig MK 103 aircraft autocannon. Although not a direct modification of the Panzer IV, some of its components, in conjunction with parts from the Panzer III, were utilized to make one of the most widely used self-propelled artillery chassis of the war—the Geschützwagen III/IV. This chassis was the basis of the Hummel artillery piece, of which 666 were built, and also the 88-millimetre (3.46 in) gun-armed Nashorn tank destroyer, with 473 manufactured. To resupply self-propelled howitzers in the field, 150 ammunition carriers were manufactured on the Geschützwagen III/IV chassis. ~3,160 produced by Nibelungenwerke and Vomag from February 1944 to April 1945. 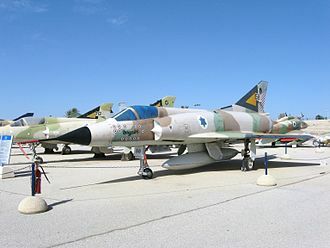 ^ Ginat, Rami (6 Dec 2006). "The Soviet Union and the Syrian Ba'th regime: from hesitation to rapprochement". Middle Eastern Studies. 36 (2): 9. doi:10.1080/00263200008701312. ^ Zetterling, Niklas (2000). Kursk 1943: A Statistical Analysis. London: Frank Cass. p. 61. ISBN 978-0-7146-5052-4. ^ a b c d e f g h Thomas L. Jentz and Hilary Louis Doyle (2011). Panzer Tracts No.23 - Panzer Production from 1933 to 1945. Panzer Tracts. pp. 50–59. ^ a b Spielberger, Walter (2011). Panzerkampfwagen IV and its variants 1935 - 1945 Book 2. Schiffer. p. 203. ^ Conners, Chris (4 December 2002). "Panzerkampfwagen IV Ausfuehrung H". 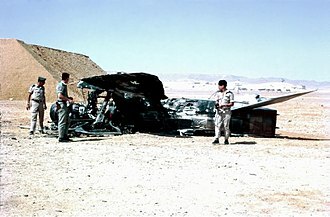 The AFV Database. Retrieved 15 December 2010. ^ Jentz, Thomas L.; Doyle, Hilary Louis (1997). Panzer Tracts No. 4: Panzerkampfwagen IV Grosstraktor to Panzerbefehlswagen IV. Darlington (MD), p. 14: Darlington Productions. ^ Jentz, Thomas L.; Doyle, Hilary Louis (1997). Panzer Tracts No. 4: Panzerkampfwagen IV Grosstraktor to Panzerbefehlswagen IV. Darlington (MD), p. 30: Darlington Productions. ^ a b Jentz, Thomas L.; Doyle, Hilary Louis (1997). Panzer Tracts No. 4: Panzerkampfwagen IV Grosstraktor to Panzerbefehlswagen IV. Darlington (MD), p. 40: Darlington Productions. ^ Jentz, Thomas L.; Doyle, Hilary Louis (1997). Panzer Tracts No. 4: Panzerkampfwagen IV Grosstraktor to Panzerbefehlswagen IV. Darlington (MD), p. 34: Darlington Productions. ^ a b Perrett, Bryan; Laurier, Jim (1999). Panzerkampfwagen IV Medium Tank 1936-45. Osprey. p. 8. ISBN 978-1855328433. ^ Jentz, Thomas L.; Doyle, Hilary Louis (1997). Panzer Tracts No. 4: Panzerkampfwagen IV Grosstraktor to Panzerbefehlswagen IV. Darlington (MD), p. 44: Darlington Productions. ^ Chamberlain, Peter; Doyle, Hilary Louis (2001). Encyclopedia Of German Tanks Of World War Two. London, p. 255: Arms & Armour Press. ^ a b c d Jentz, Thomas L.; Doyle, Hilary Louis (1997). Panzer Tracts No. 4: Panzerkampfwagen IV Grosstraktor to Panzerbefehlswagen IV. Darlington (MD), p. 50: Darlington Productions. ^ Rickard, J (25 July 2008). "Panzer IV Medium Tank". Retrieved 25 September 2018. ^ a b c Doyle & Jentz (2001), p. 41; Perrett (1999), p. 44, claims Bulgaria received 88 Panzer IVs. ^ "Panzer IV". www.legionsgames.com. Legions Hobbies and Games. Retrieved 11 August 2011. ^ "KV-1 AND PzKw IVJ TANKS". JAEGER PLATOON: FINNISH ARMY 1918 - 1945 WEBSITE. ^ "Panzer IV Universe - AAF's Ausf. H/J Inside & Out". ^ Parada, George. "Jagdpanzer IV". achtungpanzer.com. Retrieved 2008-09-01. ^ Parada, George. "Sturmgeschütz III / IV". achtungpanzer.com. Retrieved 2008-09-01. ^ Jentz, Thomas L.; Doyle, Hilary Louis (1997). Panzer Tracts No. 9: Jagdpanzer, Jagdpanzer 38 to Jagdtiger. Darlington (MD): Darlington Productions. ^ "Trumpeter 00389 German Bergepanzer IV". perthmilitarymodelling.com. Bird, Lorrin R.; Robert Livingston (2001). World War II Ballistics: Armor and Gunnery. Albany, NY: Overmatch Press. Caballero, Carlos; Molina, Lucas (October 2006). Panzer IV: El puño de la Wehrmacht (in Spanish). Valladolid, Spain: AFEditores. ISBN 978-84-96016-81-1. Crawford, Steve (11 November 2000). Tanks of World War II. Zenith Press. ISBN 978-0-7603-0936-0.
de Mazarrasa, Javier (1994). 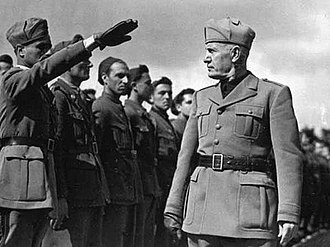 Blindados en España 2ª Parte: La Dificil Postguerra 1939-1960 (in Spanish). Valladolid, Spain: Quiron Ediciones. ISBN 978-84-87314-10-0. Doyle, Hilary; Tom Jentz (2001). Panzerkampfwagen IV Ausf. G, H and J 1942-45. Oxford, United Kingdom: Osprey. ISBN 978-1-84176-183-1. Doyle, Hilary; Lukas Friedli (2016). Panzer Tracts 4-3: Panzerkampfwagen IV Ausf. H - Ausf. 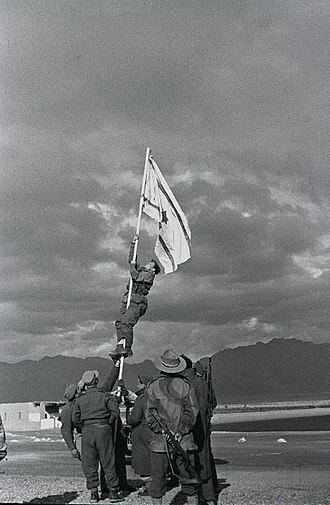 J, 1943 to 1945. Boyds, Maryland: Panzer Tracts. Fletcher, David (2008). Sherman Firefly. Oxford, United Kingdom: Osprey. ISBN 978-1-84603-277-6. Forty, George (2000). The Reich's Last Gamble: The Ardennes Offensive, December 1944. London, United Kingdom: Cassell & Co. ISBN 978-0-304-35802-1. Hastings, Max (1999). Overlord: D-Day and the Battle for Normandy 1944. London, United Kingdom: Pan Books. ISBN 978-0-330-39012-5. Jentz, Thomas (1996). Panzertruppen: The Complete Guide to the Creation & Combat Employment of Germany's Tank Force 1933-1942. Atglen, PA: Schiffer Military History. ISBN 978-0-88740-915-8. Jentz, Thomas; Hilary Doyle (1997). Panzer Tracts 4: Panzerkampfwagen IV - Grosstraktor to Panzerbefehlswagen IV. Darlington, MD: Darlington Productions. Jentz, Thomas; Hilary Doyle (2001). Germany's Panzers in World War II: From Pz.Kpfw.I to Tiger II. Atglen, PA: Schiffer Military History. ISBN 978-0-7643-1425-4. McCarthy, Peter; Mike Syryon (2002). 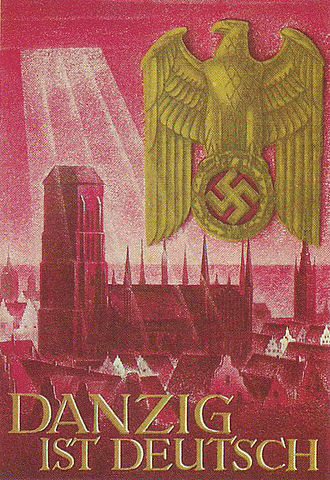 Panzerkieg: The Rise and Fall of Hitler's Tank Divisions. New York City, NY: Carroll & Graf. ISBN 978-0-7867-1009-6. Ormeño, Javier (1 January 2007). "Panzerkampfwagen III: El pequeño veterano de la Wehrmacht". SERGA (45). Perrett, Bryan (1998). German Light Panzers 1932-42. Oxford, United Kingdom: Osprey. ISBN 978-1-85532-844-0. Perrett, Bryan (1999). Panzerkampfwagen IV medium tank : 1936 - 1945. Oxford, United Kingdom: Osprey. ISBN 978-1-85532-843-3. Reynolds, Michael (2002). The Sons of the Reich: II SS Panzer Corps. Havertown, PA: Casemate. ISBN 978-0-9711709-3-3. Scheibert, Horst (1991). The Panzer IV Family. West Chester, PA: Schiffer Military History. ISBN 978-0-88740-359-0. Simpkin, Richard E. (1979). Tank Warfare: An analysis of Soviet and NATO tank philosophy. London, United Kingdom: Brassey's. ISBN 978-0-904609-25-7. Spielberger, Walter (April 1972). PanzerKampfwagen IV. Berkshire, United Kingdom: Profile Publications Ltd.
Spielberger, Walter (1993). Panzer IV and its variants. Atglen, PA, USA: Schiffer Military History. ISBN 978-0-88740-515-0. Spielberger, Walter (2011). Panzerkampfwagen IV and its variants 1935 - 1945 Book 2. Atglen, PA, USA: Schiffer Military History. ISBN 978-0-7643-3756-7. Wilmot, Chester (1997). The Struggle for Europe. Ware, Herts. : Wordsworth Editions Ltd. ISBN 978-1-85326-677-5. The Maschinengewehr 34, or MG34, is a German recoil-operated air-cooled machine gun, first tested in 1929, introduced in 1934, and issued to units in 1936. It accepts the 7. 92×57mm Mauser cartridge, and is considered the worlds first general-purpose machine gun. The versatile MG34 was arguably the most advanced machine gun in the world at the time of its deployment and its combination of exceptional mobility – being light enough to be carried by one man – and high rate of fire was unmatched. 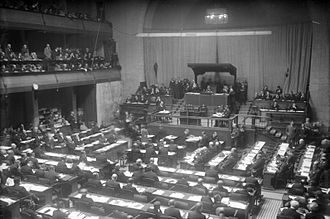 It entered service in numbers following Hitlers repudiation of the Versailles Treaty in 1936. Nonetheless, the design proved too complex for production, and was supplemented by the cheaper and simpler MG42. The MG34 was based on a 1930 Rheinmetall design, the MG30, the Swiss and Austrian militaries had both licensed and produced the MG30 from Rheinmetall shortly after patent. 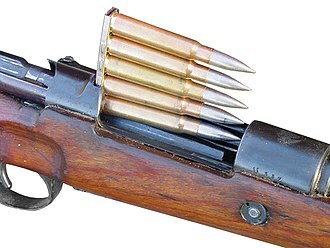 The MG30 design was adapted and modified by Heinrich Vollmer of Mauser Industries, Vollmer modified the feed mechanism to accept either drum magazines or belt ammunition. He increased the rate of fire, the MG 34s double crescent trigger dictated either semiautomatic or fully automatic firing modes. In the field, the weapon could operate in offensive or defensive applications, the offensive model, with a mobile soldier, used a drum magazine that could hold either 50 or 75 rounds of ammunition. In a stationary defensive role, the gun was mounted on a bipod or tripod, belts were carried in boxes of five. 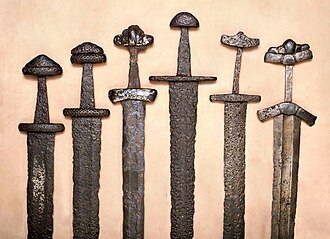 Belt lengths could be linked for sustained fire, during sustained fire, barrels would have to be changed at intervals due to the heat generated by the rapid rate of fire. If the barrels were not changed properly, the weapon would misfire, changing barrels was a rapid process for the trained operator and involved disengaging a latch and swinging the receiver to the right for the insertion of a new barrel. Accordingly, stationary defensive positions required more than one operator, the MG34 was the mainstay of German Army support weapons from the time of its first issue in 1935 until 1942, when it was supplanted by the next generation Maschinengewehr 42 or MG42. The M3 Stuart, formally Light Tank M3, is an American light tank of World War II. It was supplied to British and Commonwealth forces under lend-lease prior to the entry of the U. S. into the war, thereafter, it was used by U. S. and Allied forces until the end of the war. The name General Stuart or Stuart given by the British comes from the American Civil War Confederate General J. E. B, Stuart and was used for both the M3 and the derivative M5 Light Tank. In British service, it had the nickname of Honey after a tank driver remarked Shes a honey. To the United States Army, the tanks were known only as Light Tank M3. 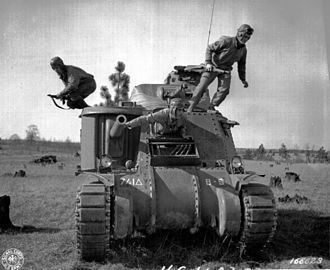 Stuarts were the first American-crewed tanks in World War II to engage the enemy in tank versus tank combat, observing events in Europe, American tank designers realized that the Light Tank M2 was becoming obsolete and set about improving it. 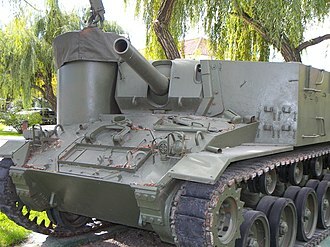 The upgraded design, with armor, modified suspension and new gun recoil system was called Light Tank M3. 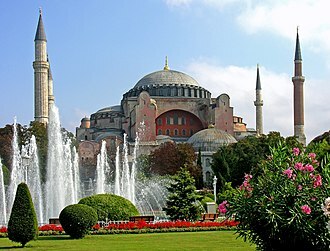 Production of the started in March 1941 and continued until October 1943. Later, the gun was replaced with the slightly longer M6, for a light tank, the Stuart was fairly heavily armored. Internally, the engine was at the rear and the transmission at the front. The prop shaft connecting the two ran through the middle of the fighting compartment, the radial engine, having its crankshaft high off the hull bottom, contributed to the tanks high silhouette. 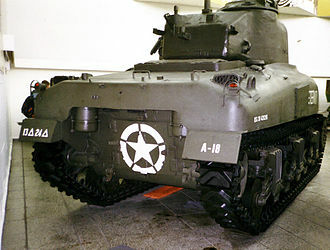 When a revolving turret floor was introduced in the M3 hybrid and M3A1, in contrast to the M2A4, all M3/M5 series tanks had a trailing rear idler wheel for increased ground contact). This variation was quieter and roomier, owing to its automatic transmission, it simplified crew training. The new model featured a redesigned hull with sloped glacis plate. Although the main criticism from the using it was that the Stuarts lacked firepower. The M5 gradually replaced the M3 in production from 1942 and, the British Army was the first to use the Light Tank M3 as the General Stuart in combat. From mid-November 1941 to the end of the year, about 170 Stuarts took part in Operation Crusader during the North Africa Campaign and this is despite the fact that the M3 was superior or comparable in most regards to most of the tanks used by the Axis forces. Steyr-Daimler-Puch was a large manufacturing conglomerate based in Steyr, which was broken up in stages between 1987 and 2001. The component parts and operations continued to exist under separate ownership, the company, initially known as Josef und Franz Werndl and Company was founded in 1864 as a rifle manufacturer. It grew rapidly during the First World War, by the end of which it employed 14,000 people, the company began producing bicycles in 1894, and Steyr automobiles after 1918. It was heavy and well-built, if a little cumbersome, however, the small but luxurious 1.5 L six Type XII of the late twenties won international motor press acclaim. The company changed it name to Steyr-Werke AG in 1924, in 1934, Steyr merged with Austro-Daimler-Puch to form Steyr-Daimler-Puch. The request was approved and prisoners were brought by guarded train from the Mauthausen-Gusen camp complex at Gusen 30 km distant and this was approved and prisoners were used for facilities construction, and to supplant manufacturing labor. This practice heretofore was not common at other larger German companies, though others followed suit including Mercedes-Benz and MAN. The vehicle range was for use, including the Steyr RSO Raupenschlepper Ost with an air-cooled 3.5 L V8 engine designed by Ferdinand Porsche. War-time production there included arms, assault rifles, machine guns. After the war, Steyr-Daimler-Puch built Diesel engined trucks and buses and heavy tractors, Steyr assembled the FIAT 1100E, put their own engine in a Fiat 1400, renaming the car the Steyr 2000. From 1957 through to the early 1970s it produced the tiny Puch 500 under license from FIAT, the Haflinger was produced from 1959–1974, the Pinzgauer from 1971–2000, and the Puch G from 1979. The Austro-Daimler branch built heavy tractors and trucks for the imperial Austrian army, the main Steyr civil agricultural tractor production started in 1947. After the war Steyr-Daimler-Puch resumed manufacturing bicycles and mopeds, gradually establishing distributors in countries to manage their sales. The Panzerkampfwagen III, commonly known as the Panzer III, was a medium tank developed in the 1930s by Germany, and was used extensively in World War II. The official German ordnance designation was Sd. Kfz, the Panzer III effectively became obsolete in this role and was supplanted by the Panzer IV. From 1942, the last version of Panzer III mounted the 7.5 cm KwK37 L/24, production of the Panzer III ended in 1943. However, the Panzer IIIs capable chassis provided hulls for the Sturmgeschütz III assault gun until the end of the war, the first task was direct combat against other tanks and other armoured vehicles, requiring the tank to fire armour piercing shells. On January 11,1934, following specifications laid down by Heinz Guderian, the Army Weapons Department drew up plans for a tank with a maximum weight of 24,000 kg. Such supportive tanks designed to operate with friendly infantry against the enemy generally were heavier, the direct infantry-support role was to be provided by the turret-less Sturmgeschütz assault gun, which mounted a short-barrelled gun on a Panzer III chassis. Daimler-Benz, Krupp, MAN, and Rheinmetall all produced prototypes, testing of these took place in 1936 and 1937, leading to the Daimler-Benz design being chosen for production. The first model of the Panzer III, the Ausführung A. came off the line in May 1937, ten. Between 1937 and 1940, attempts were made to standardize parts between Krupps Panzer IV and Daimler-Benzs Panzer III, much of the early development work on the Panzer III was a quest for a suitable suspension. 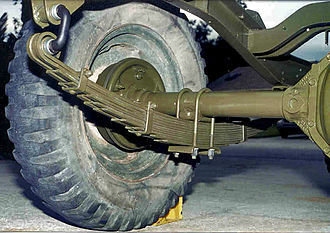 Several varieties of leaf-spring suspensions were tried on Ausf, D, usually using eight relatively small-diameter road wheels before the torsion-bar suspension of the Ausf. E was standardized, using the six wheel design that became standard. The Panzer III, along with the Soviet KV heavy tank, was one of the tanks to use this suspension design first seen on the Stridsvagn L-60 a few years earlier. A distinct feature of the Panzer III, influenced by British Vickers tanks, was the three-man turret and this meant that the commander was not distracted with another role in the tank and could fully concentrate on maintaining awareness of the situation and directing the tank. The Panther was a German medium tank deployed during World War II on the Eastern and Western Fronts in Europe from mid-1943 to its end in 1945. It had the ordnance inventory designation of Sd. Kfz, until 27 February 1944, it was designated as the Panzerkampfwagen V Panther when Hitler ordered that the Roman numeral V be deleted. Contemporary English language reports sometimes refer to it as the Mark V, the Panther was intended to counter the Soviet T-34 and to replace the Panzer III and Panzer IV. Nevertheless, it served alongside the Panzer IV and the heavier Tiger I until the end of the war and it is considered one of the best tanks of World War II for its excellent firepower and protection. The trade-off was weaker side armour, which made it vulnerable to flanking fire, the Panther proved to be effective in open country and long range engagements, but did not provide enough high explosive firepower against infantry. The Panther was far cheaper to produce than the Tiger I, key elements of the Panther design, such as its armour and final drive, were simplifications made to improve production rates and address raw material shortages. The overall design remained somewhat over-engineered, the Panther was rushed into combat at the Battle of Kursk despite numerous unresolved technical problems, leading to high losses due to mechanical failure. The Panther was born out of a project started in 1938 to replace the Panzer III, the initial requirements of the VK20 series called for a fully tracked vehicle weighing 20 tonnes and design proposals by Krupp, Daimler Benz and MAN ensued. The T-34 outclassed the existing models of the Panzer III and IV, at the insistence of General Heinz Guderian, a special tank commission was created to assess the T-34.2 mm gun, which had good armour penetration and fired an effective high explosive round. 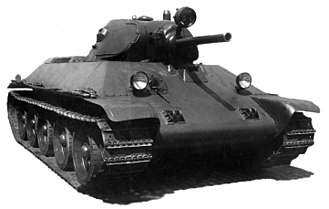 The DB design resembled the T-34 in its hull and turret and was to be powered by a diesel engine and it was driven from the rear drive sprocket with the turret situated forward. The incorporation of a diesel engine promised increased operational range, reduced flammability, Hitler himself considered a diesel engine imperative for the new tank. DBs proposal used an external leaf spring suspension, in contrast to the MAN proposal of twin torsion bars, wa Pruef 6s opinion was that the leaf spring suspension was a disadvantage and that using torsion bars would allow greater internal hull width. It opposed the rear drive because of the potential for track fouling, Daimler Benz still preferred the leaf springs over a torsion bar suspension as it resulted in a silhouette about 200 mm shorter and rendered complex shock absorbers unnecessary. The MAN design embodied more a conventional configuration, with the transmission and drive sprocket in the front and it had a petrol engine and eight torsion-bar suspension axles per side. Because of the torsion bar suspension and the shaft running under the turret basket. These multiple large, rubber-rimmed steel wheels distributed ground pressure more evenly across the track, the two designs were reviewed from January to March 1942. 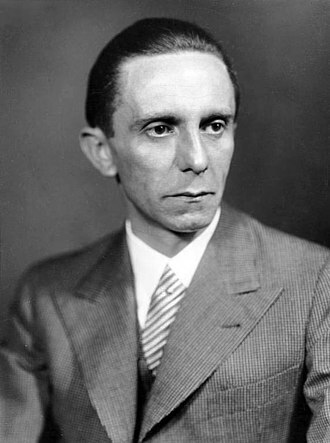 Reichminister Todt, and later, his replacement Albert Speer, both recommended the DB design to Hitler because of its advantages over the initial MAN design, on 5 March 1942, Albert Speer reported that Hitler considered the Daimler-Benz design to be superior to MANs design. The Fiat L6/40 was a light tank used by the Italian army from 1940 through World War II. It was designed by Fiat-Ansaldo as a product, and was adopted by the Italian Army when officials learned of the design. It was the main tank employed by the Italian forces fighting on the Eastern Front alongside the L6/40-based Semovente 47/32 self-propelled gun, L6/40s were used in the North African campaign. The official Italian designation was Carro Armato L6/40 and this designation means, L for Leggero, followed by the weight in tons and the year of adoption. The L6/40 was a light tank design of riveted construction. 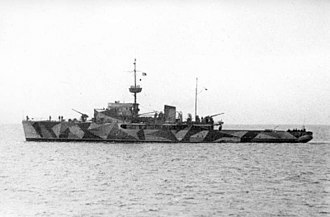 A one-man turret in the centre mounted a single Breda Modello 3520 mm main gun, the driver sat in the front right of the hull. The riveted armour was six to 30 mm in thickness, which was equivalent to existing Allied light tanks. A further development of the Fiat L3 light tank, the L6 went through a number of prototypes during the late 1930s, the first was armed with a sponson-mounted 37 mm main gun and a machine-gun armed turret. 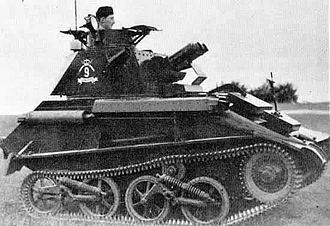 A version featured a turret mounted 37 mm gun and yet another version had only twin 8 mm machine guns, the production configuration, named Carro Armato L6/40, was put into production in 1939, with 283 finally produced. The L6 Lf flame tank variant was developed in which the gun was replaced by a flamethrower with 200 litres of fuel. 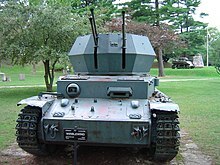 A command-tank variant carried extra radio gear and had an open-topped turret, the most successful of the L6 variants was the Semovente 47/32, which eliminated the turret and substituted a 47 mm antitank gun in the open-topped hull. A final version late in the war was an ammunition carrier armed only with a single 8 mm Breda machine gun and it was used alongside the Semovente 90/53, carrying 26 extra 90 mm rounds, as the Semovente 90/53 itself could only carry six rounds. L6/40 light tanks were used by the Italians in the Balkans Campaign, in the war against the Soviet Union, in the stages of the North African campaign. The L6/40 was the main tank employed by the Italian forces fighting on the Eastern Front, the L6 fought alongside the L6/40-based Semovente 47/32 self-propelled gun. T-44 displayed in the Museum of the Great Patriotic War, Moscow, Poklonnaya Hill Victory Park.